Yes, I realize it’s Thursday, and I normally only post on Monday, Wednesday and Friday. But today is special : it’s a National Holiday! Today is National Hug Your Cat Day. 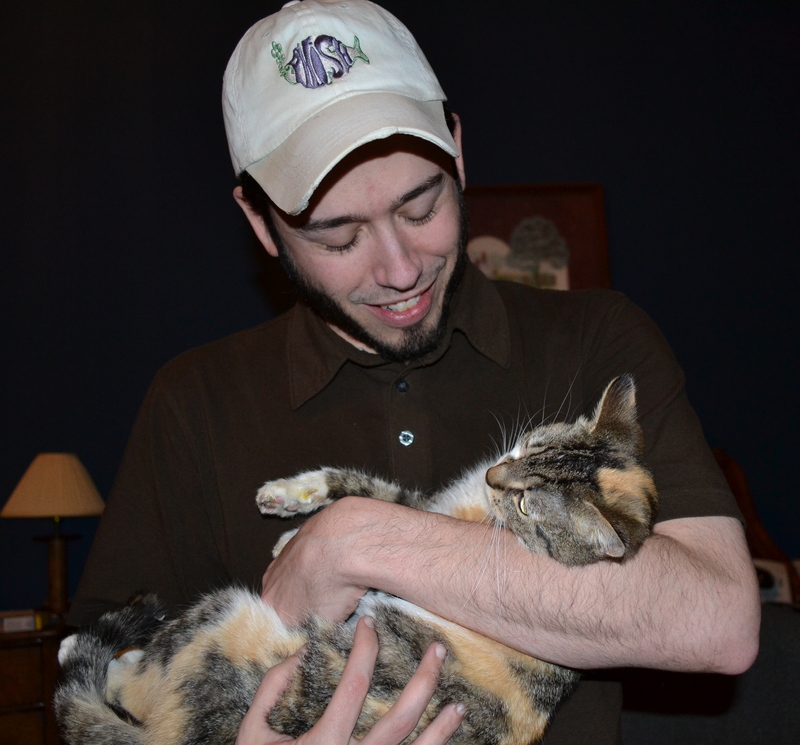 And, personally, I think “Hug Your Cat Day” just happens to be celebrated on the purrfect day! This entry was posted in Days at Home, Family, Gypsy, Sundae and tagged national hug your cat day. Bookmark the permalink. 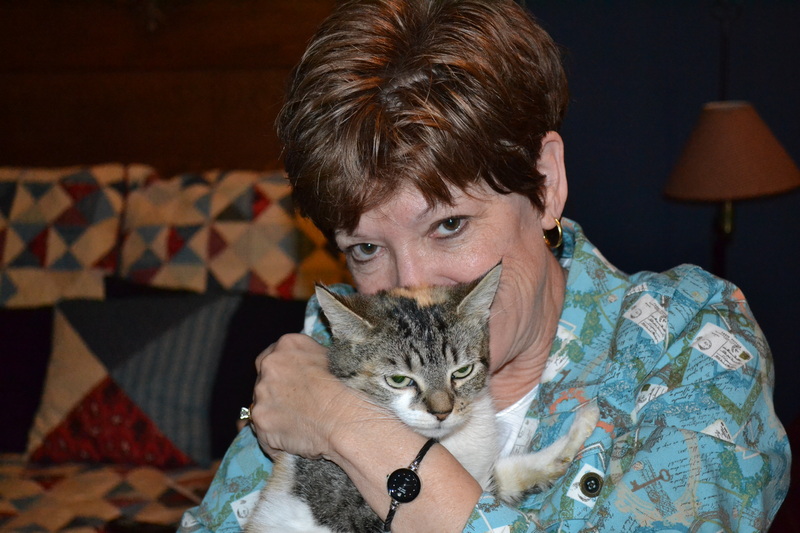 Yes indeed – Hug Your Cat Day on YOUR birthday – I’d say that means hugs for EVERYONE including the birthday girl! Hug everybody day! Especially a beautiful blogger with such lovely strength and beauty shown to her friends through prose ,pictures and her beautiful face all through the week.We are addicted and love her blog! Happy Birthday to one of the finest people I know. I hope your birthday is great!!! My furbaby thinks every day is ‘hug your cat day’!! I know MM will help you celebrate in style! Lucky kitties! I think they need to hug you today because isn’t it your birthday? Have a glorious day, sweet friend! And enjoy those kitty hugs. Happy Birthday!!! We sure don’t need an excuse to hug – furry friends or people friends. ….And Happy Birthday, Dear Friend. I will let you come over and attempt to hug my Lexa! While she is very affectionate when it comes to laying on my lap, grooming me, or rubbing against me, she becomes all legs with claws if I try to pick her up or hold her! My cats just do not love the hugs that I give them. They are more lap cats than hugging and holding cats. Now don’t get me wrong—they are VERY affectionate but just don’t like to be hugged. 🙂 Hug yours for me, okay? Looks like they enjoy their hugs! A little Sammy Cat told me it was your birthday- Happy Birthday! A “purrrfect” holiday for kitties who are so lucky to have a family of hugs. Ahhh! Look at all that kitty love going on!!!! Oh! And mes forgots to sing yous the birthday song!!! Sammy said it is your Birthday. Happy Birthday from all of us! Yep- that’s everyday ’round these parts !